Former Cardiff Devils power forward Ivan Matulik has reminded Welsh ice hockey fans of a Superleague season two decades ago. He reckons Andrew Lord’s Devils could repeat a feat achieved by the 1998-99 team when Paul Heavey was coach. Devils had finished League runners-up, behind favourites Manchester Storm and the rivals clashed in the play-offs semi-finals. It was April 1999 and I was reporting on a goalless draw between Cambridge United and Cardiff City at Abbey Stadium for the South Wales Echo. Cardiff City’s line-up at Cambridge United that day was: Jon Hallworth, Mike Ford, Wayne O’Sullivan Graham Mitchell, Jeff Eckhardt, Richard Carpenter, Jason Fowler, Andy Legg, Danny Hill, Kevin Nugent, Jason Bowen. Subs: Lee Jarman, Craig Middleton, John Williams. Midway through the match my mobile phone rang. The finals were being played at Manchester Evening News Arena and Storm were champions. Who was David kidding? My reply was ‘Don’t be silly’, but David passed his phone to other people and, finally, they convinced me. Devils did indeed win 5-0 against Storm and I left Cambridge after filing my report for the dash to Manchester. When I arrived at the hotel I had booked the rock group Manic Street Preachers, who are Devils fans, we’re in the bay. 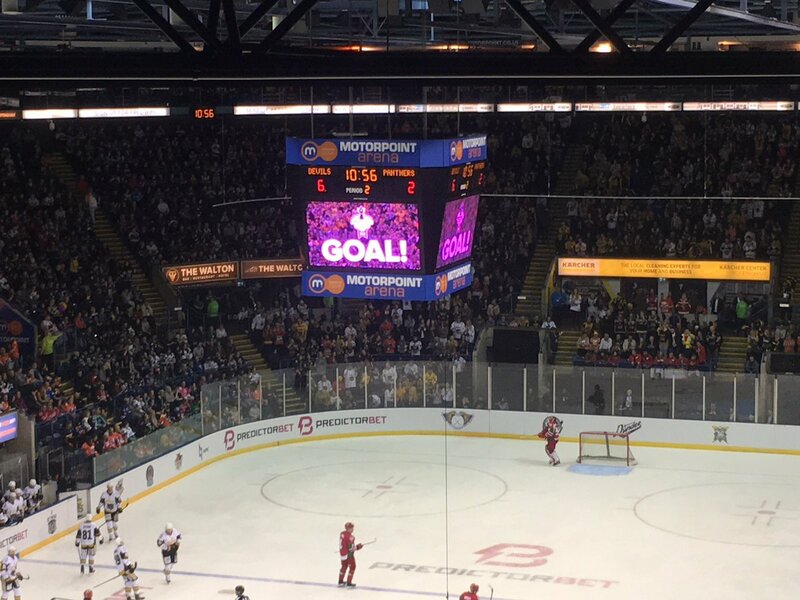 Cardiff went on to beat Nottingham Panthers 2-1 in the final. This season, Lord’s Cardiff finished runners-up to champions Belfast Giants this season and yesterday defeated Nottingham Panthers 9-4 in their semi-final. Devils and Giants, the best teams in British ice hockey, clash in the final at the Motorpoint Arena in Nottingham this afternoon. Matulik had been chatting to Devils’ Neil Francis about the play-offs and ‘Franny’ said: “I had a nice little reminder from Ivan Matulik that in 1999 after finishing second in the league, @cardiffdevils beat the hosting team in the semis (Storm in Manchester) before going on to win the Final. Devils, of course, won the Elite League title in 2017 – two decades after winning the Superleague crown in 1997. Charles Linglet scored four goals in Devils’ 9-4 win against Panthers and said: “We played one hell of a game. The PredictorBet play-off final, Devils v Giants, starts at 4pm.